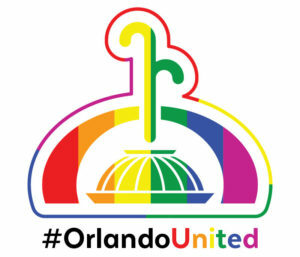 This page is to support the Orlando United Effort. To do that, we are providing our audio product S/He Loves Me complimentary to all of the support staff and their clients. S/He Loves Me (part of the Freedom is Internal Collection) is a 3 part audio file which simply by listening repeatedly, reignites a power within you that diminishes life’s struggles and stresses that the subconscious mind stores and resurfaces when triggered. Listen to an inspiring story that slowly dissolves all mind clutter and stress. Learn to release your internal stream of positive energy. Receive unshakeable certainty that – ‘you can be all you want to be’ – in any aspect in life. 75 minutes of soul smoothing sounds, bringing Clarity, Balance and Transparency back into your reality. These sounds will resonate deeply, revealing the unlimited freedom of your heart and spirit. The S/He Loves Me 3 part audio set are complimentary to you. They are in support of you and the OrlandoUnited in promoting the oneness. The only thing we ask in return is that you share your experiences of this audio set with others.